I have flaws and quirks (I say adorable, some may beg to differ). Brilliant and oh so dumb, sometimes astonishingly, at the same time. I’m a gloriously human jumble. So why do we expect our entertainment to be perfect when we aren’t? 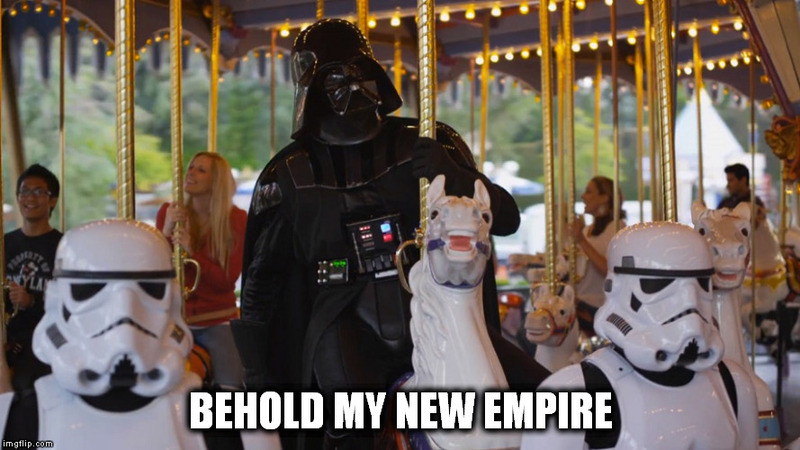 As humans, we get caught up in things, even now, computers are galactically buzzing about the new Star Wars, loving it, trashing it, or both, and it hasn’t even hit theaters yet. 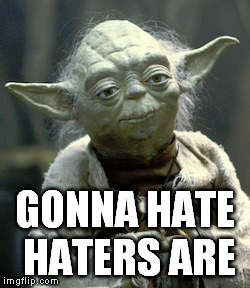 I admit, my unease intensifies as The Force Awakens. There were times, I’m sure you knew, when I bit off more than I could chew-ie and I didn’t want to become blaster fodder. 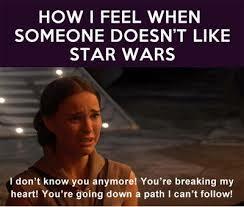 And Disney buying Star Wars made my complicated relationship go full Death Star explosion (scared of it I am). But Star Wars On Trial looked interesting, so I let the tractor beam pull me in (that’s no moon, that’s a blog post!). I consider myself an intelligent viewer (is that an oxymoron? ), so I selected the 8th charge against the accused iconic franchise, The Plot Holes and Logical Gaps in Star Wars Make It Ill-Suited for An Intelligent Viewer. 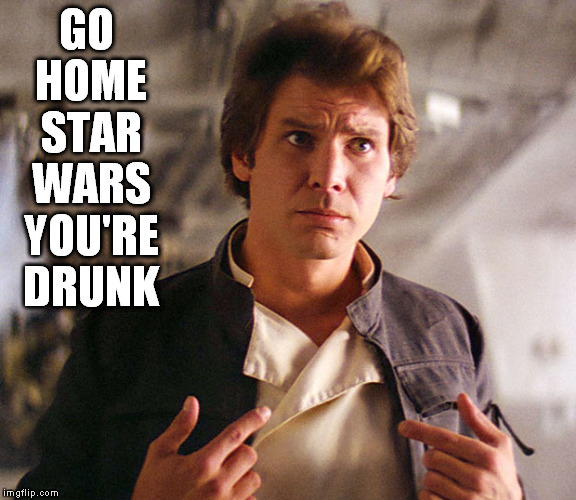 I agree, sometimes watching these movies, I just want to say, go home Star Wars you’re drunk, but I believe those who consume the story are culpable, not the storyteller. 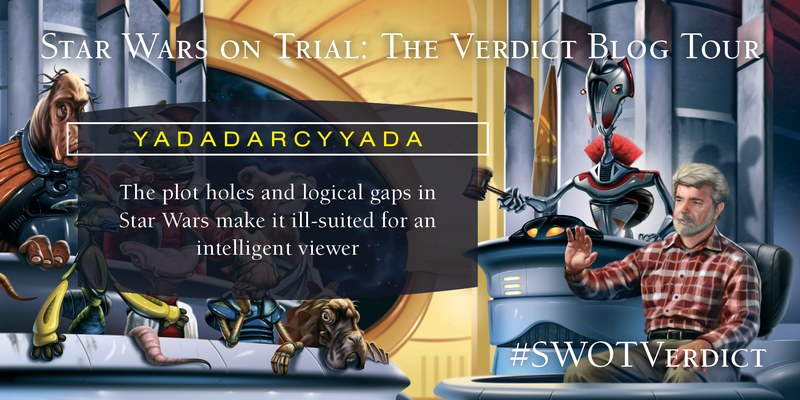 Upon first review of the charges, perhaps it does seem like only morons would enjoy movies like Star Wars – I’m paraphrasing, the witnesses for prosecution, Nick Mamatas and defense, Don DeBrandt were actually quite witty and eloquent. Star Wars certainly did it all and not in a shy way, oh no, let the record show George Lucas took the blows, and did it his way. I’ll state my case, of which I’m sorta certain, the details of the story aren’t nearly as important as the story itself. Why? Because we are the story. We are Yoda, who trained Luke (more or less), but once said Anakin was too old to train, back in the days of surplus Jedi. We are Obi-Wan Kenobi, I mean, Ben Kenobi hiding Luke Skywalker in plain sight, on a barren planet where most everything wants to kill him – guess we know who the favoured child was. No spoilers, I enjoyed all the sci-fi and fantasy authors, including, but not limited to David Brin and Matthew Woodring Stover who diligently prosecuted and defended the idolized, intriguing, yet infuriating series while the Droid Judge (This isn’t the Droid Judge you’re looking for) attempted to keep order. 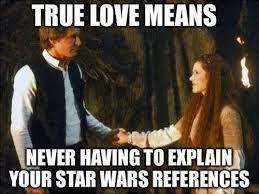 And enter to win a free copy of Star Wars on Trial from BenBella Books (Canada or U.S only). In the comment box below, tell me your most hated or loved plot hole or logical gap (any book, movie, TV show, or life). Notification via droid (or me) November 15, 2015 – all contact will be confidential. I would say life isn’t logical. How could it be when we live it on a baffling blue ball twirling in space like a tattered ballerina in a vintage music box? Stories are told by humans and therefore, delightfully flawed. Think of it like extra cheese on lasagna, yes, it’s irrelevant, but does that mean it shouldn’t have happened? Life is messy. Take a bite. And Star Wars has Muppets…isn’t that enough? Your true destiny? To always…do it your way. Some call this Intergalactic Star Wars Day, but really, isn’t that every day? Yet this one has an added feature, we now have a date, December 18, 2015, of the next Star Wars movie, as I’m calling it, Star Wars VII: An Old Hope. Also, cast announcements. The latter has brought a torrent of indignation from many fans. I think this is unfair in many ways to the new cast. Of course any comparison can’t be helped and it’s not likely to be favourable. 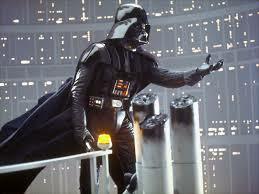 Many of us grew up with the original cast and still think of Star Wars IV: A New Hope as the first SW movie. In 1977 Harrison Ford, Carrie Fisher, and Mark Hamill weren’t even known. 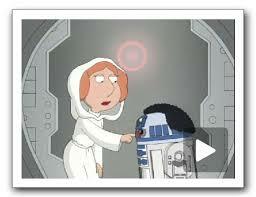 Carrie Fisher hadn’t said, Help me Obi Wan Kenobi you’re my only hope or aren’t you a little short for a storm trooper? Mark Hamill hadn’t inadvertently kissed his sister, stood in the iconic pose against the twin suns, lost his hand, and screamed his famous nooooo!!! Alec Guiness hadn’t uttered the now famous, That’s no moon, that’s a space station, or said Use the Force Luke or become a cool ghost. We had never seen or heard the rasping menace of Darth Vader or the twisted malevolence of the Emperor…no Chewie or R2 or C3PO or Jabb a or Lando or Boba-Fett. 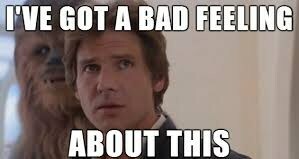 So fear not, Harrison Ford, Carrie Fisher, Mark Hamill, Anthony Daniels, Peter Mayhew, Kenny Baker, and John Williams are returning. I think we should give the new cast a chance. Max von Sydow who’s been in I can’t even begin to list the work he‘s done since 1949, but he was Ming The Merciless. Keeping an open mind, I am. Hope for the best, you should. 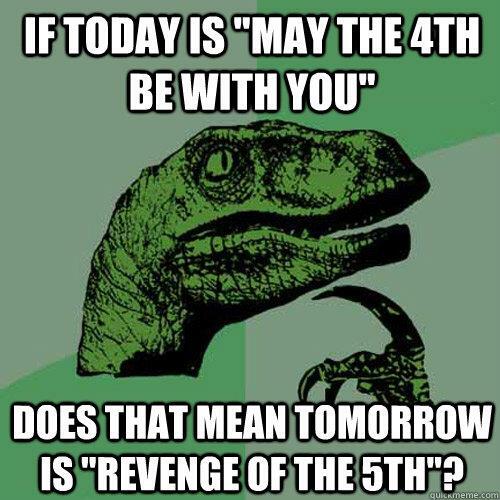 Now go get your comics, watch Star Wars movies, get your nerd on, and May The 4th Be With you!